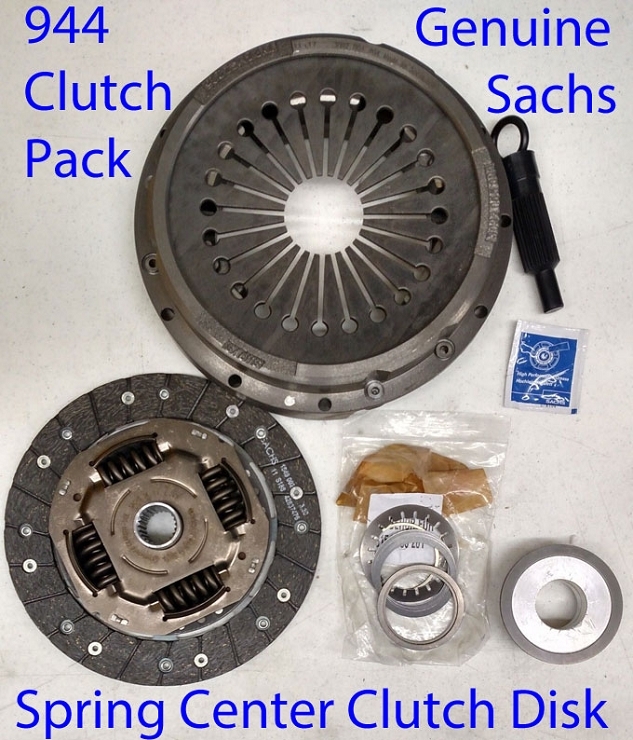 This kit is provided with the newest style spring center clutch disc which is much stronger. The original equipment clutch kit came with a rubber center hub for the clutch disk. The rubber hub was designed to eliminate secondary transmission noise or groaning of the gears under load as well as resonance of the torque tube but was prone for the rubber part to dry rot and crack and then fail.